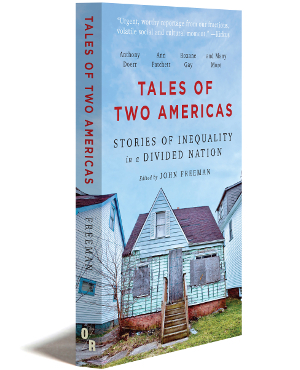 Purchase together with Tales of Two Americas: Stories of Inequality in a Divided Nation, and save 20% on both paperbacks! Eschewing more direct sociological or economic analysis, the pieces here focus on the human dimension of penury and profligacy coexisting in the tightest of quarters. In his successful election campaign, Mayor Bill de Blasio referred often to the “tale of two cities” that is life in today’s New York. With writing that will move the reader, not just emotionally but perhaps, too, to action, this anthology gives life to the meaning of those words in the streets and buildings of the metropolis. 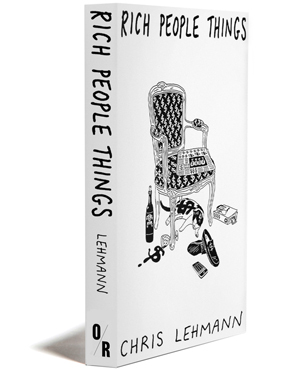 A portion of the proceeds from this book will go to Housing Works. John Freeman was until recently the editor of the literary magazine Granta. He is a former president of the National Book Critics Circle. His writing has appeared in a wide range of publications including the New York Times Book Review, the Los Angeles Times, The Guardian, and The Wall Street Journal. He is the author of The Tyranny of E-mail and How to Read a Novelist. “Look at you,” the man said. With that, the civility of negotiation was pretty well shot. The possibility, even, of a more physical resolution seemed to Chris to have been suddenly introduced. And, shovel or no shovel, he had reason to feel confident should things take that turn. But he knew he couldn’t let it play out that way. Not only couldn’t he instigate it, he couldn’t even defend himself, couldn’t pop this lowlife in the jaw no matter how legitimately threatened he might feel, on his own doorstep no less. Because he knew how that could all be made to look. Poor people lived for the opportunity to sue you. It was just one more way they tied your hands. They stood in their deep footprints for what seemed like a long time. They could see each other’s breath. At the end of the block they heard another plow pass by. Read the full story at Tin House.